Crafty Happiness: Stamp and the Country! Great card! 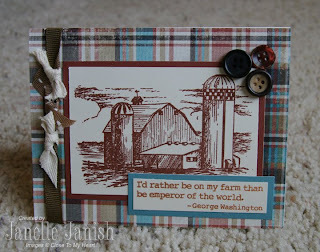 I love that barn stamp and it looks great with the plaid paper.